This page celebrates Brahms classical guitar music and includes Brahms guitar TAB. Of course, these days, Brahms guitar music is nearly always arranged by professional editors who play guitar. Like most great composers, Brahms output was mostly for piano, violin, orchestra and voice however all of these beautiful pieces have stood the test of time and deserve to be played by anyone who loves Brahms lush harmonies and beautiful melodies. 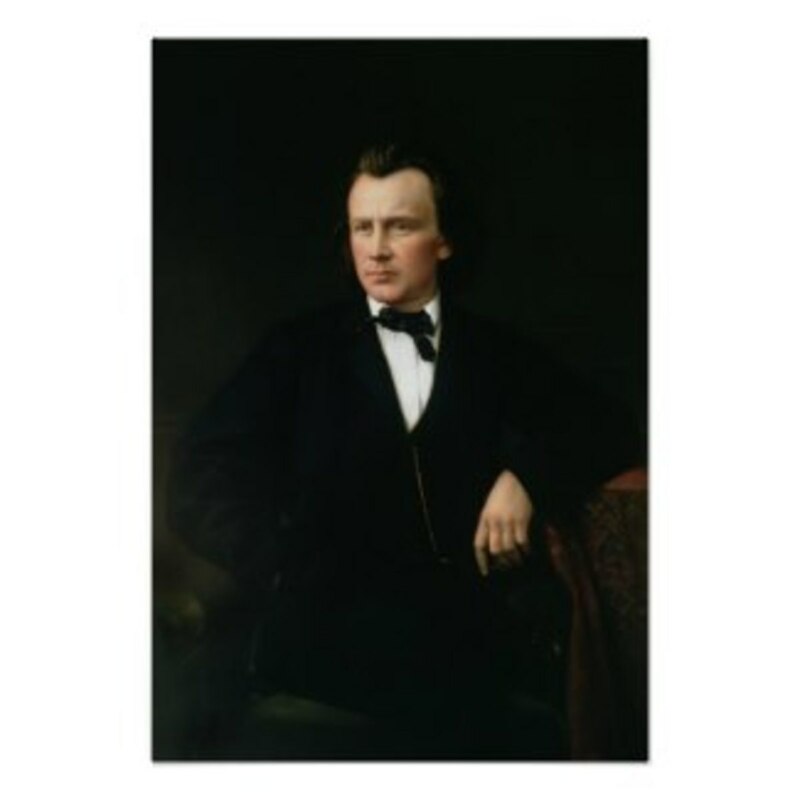 Intro image is one I have adapted from a Public Domain image of the composer Johannes Brahms. I played Brahms on the guitar in my first year of lessons. When I learned to play, my teacher gave me three Brahms pieces, Brahms Lullaby was one of my favorites. I have long since lost these beginner pieces, but I played them until the music was ragged! I love the lush harmonies in this Brahms Intermezzo! Here are some of the guitar arrangements I have made on score exchange. I would be really happy for you to check them out on my profile. Anitras Dance, Jazz Waltz for Rock Guitar Group and Drums, with TAB. 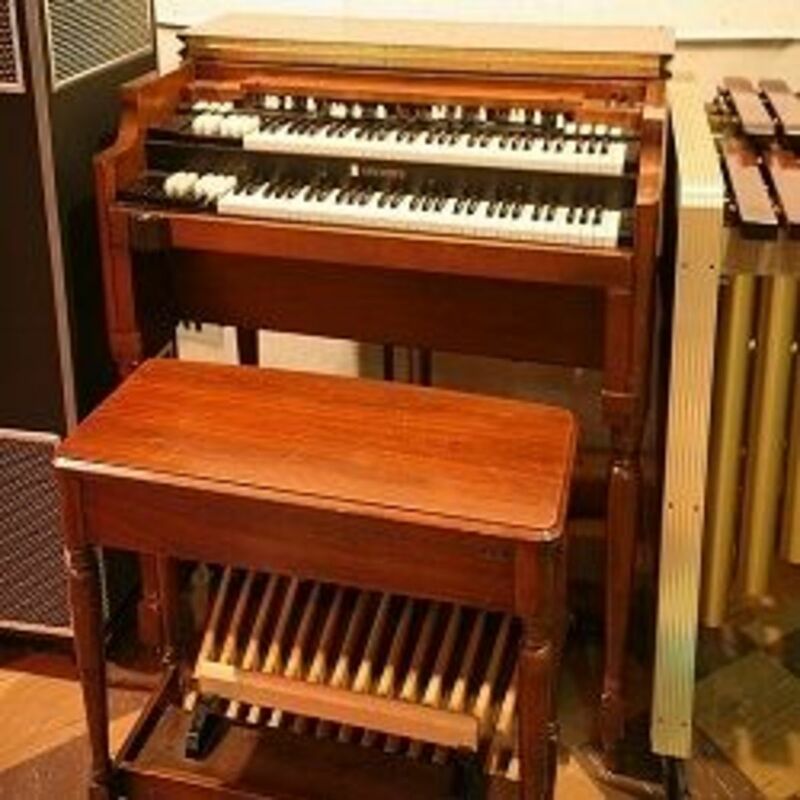 An upbeat Grieg arrangement for fun! The Queen of Sheba, a firm favourite amongst Handel,s works. Who knew Sousa could work so well on guitar? A pretty piece for guitar trio. Vivaldi works very well on guitar. This beautiful piece is arranged for guitar and flutes. Classical Guitar Arrangements - Should there be more arrangements of classical composers for guitar? Great composers have tended to come from the piano stable, or the violin. A very few were guitarists, Berlioz comes to mind here and heitor Villa Lobos of course, but what do you think of classical guitar arrangements? Would you like to see more of the great classics arranged for guitar? Yes, definitely, it gives young players a chance to play the greatest music! Lisa Marie Gabriel: That is my opinion too. In fact I think there might be some cases where the music is actually improved by transcription or orchestration. Pieces at an Exhibition is a prime example. TL Stahling: I consider it a growth of the music. Keeping it alive and finding new expressions. This validates the greatness of pieces. Here you can explore sheet music for all instruments composed by the great German composer Brahms. 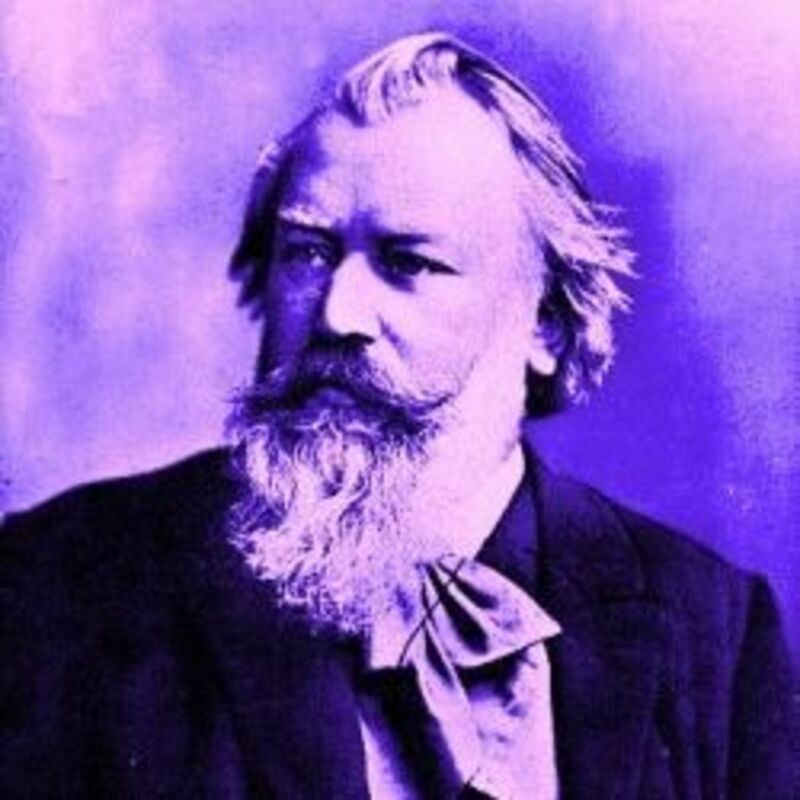 Thank you for visiting my Brahms page - Please leave a message here if you enjoyed it. I love Brahms, his music reminds me of my mother and her piano, not quite sure my guitar playing in up to standard for this though.